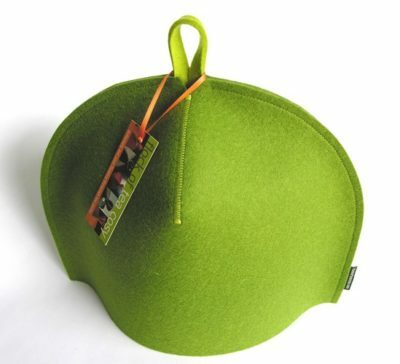 This fresh Moss Green modern tea cosy has six sides and is made with thick, European, and topped off by a simple hang-tab for easy doffing and donning of the cosy on your teapot. 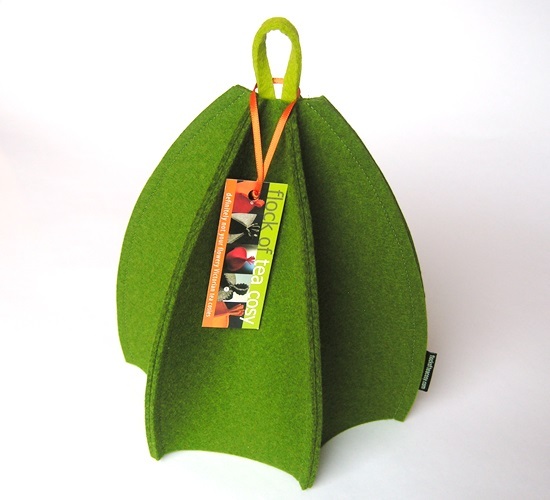 The beautiful thick felt has a wonderful hand-feel – so important in a tea cosy don’t you think? The distinctive “Ribbed” design’s inwardly curved bottom cups and holds the pot in a most satisfying way, and I love the way it sits small and then, like a puffer fish, expands to encompass the teapot. 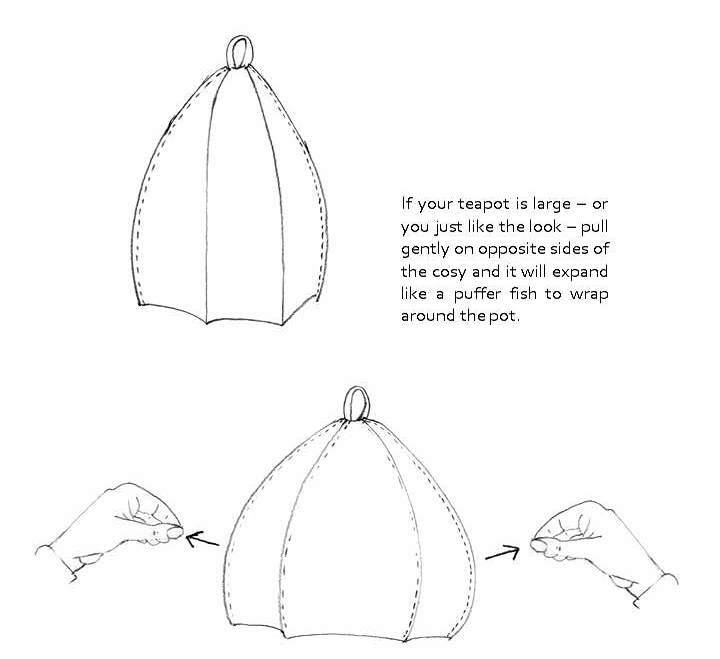 If your teapot is a bit larger — or you just like the look — you can also tug gently on opposite sides and the stiff felt will pop out and further expand like a turban-shaped tent to enclose the teapot. 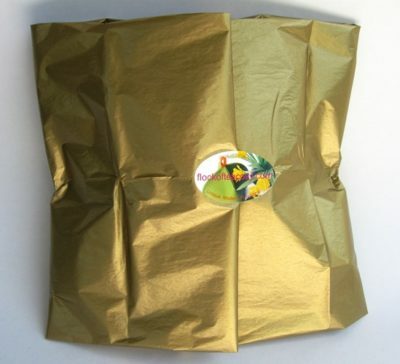 Check this post for more details. 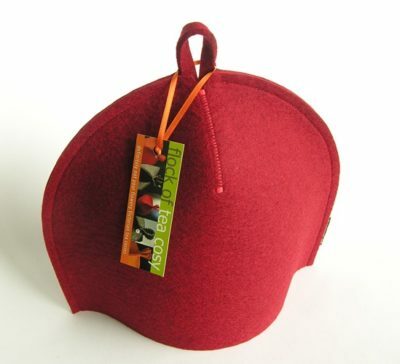 Size: SMALL 20″ circumference x 7.5″ interior height fits most small, 2-cup teapots (18 to 24 oz)., and because of its expandable shape can accomodate some larger teapots as well. WEDDING ANNIVERSARY: a recent buyer reminded me that wool is the traditional gift theme for the 7th wedding anniversary. Nudge nudge. 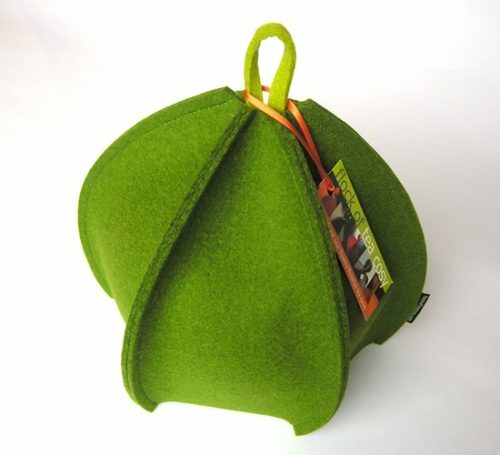 Flock of Tea Cosy accepts payment by PayPal and by credit cards through PayPal’s secure site. You do not need to have a PayPal account to pay with credit cards — simply click “Checkout as Guest” when directed to. FoTC never has your credit card number.